strategy—and the people who create it. That’s us—strategic minds, storytellers—goofballs. We're experienced yet fresh. We’re casual yet driven. And we're more than just a little passionate about branding, advertising and telling stories that hit home. We’ve been called a lot of things, but no one’s ever called us conventional—and that’s the way we like it. We're not your traditional ad agency. 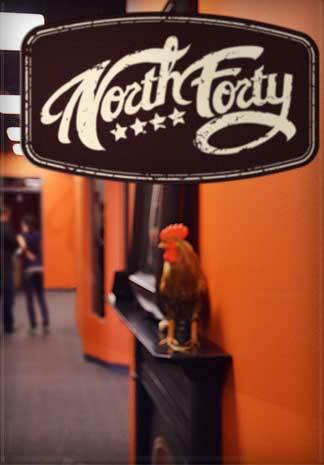 At North Forty, we're not afraid to do things differently. Our team is comprised of creative veterans from a wide variety of backgrounds—not just the marketing and advertising world. That means we ask questions that others might not think to ask. Questions that make your strategies smarter, your marketing efforts stronger and your understanding of your own brand that much clearer. We find your story—then we help you tell it in a way that's powerful, unique and ultimately You. Don't let the fact that we're based out of Cedar Rapids, Iowa fool you—big ideas come from unexpected places. Our diverse mix of talent is able to offer traditional marketing and advertising services under the pillars of branding and design, along with unique creative services like live events and multimedia. And that’s not all—we also provide creative consulting and strategies, in-store marketing expertise, product design and more. Our capabilities range from logo and package development to video and interactive design, not to mention original music and entertainment. How many advertising agencies can do all that—and do it well? We’re a creative agency. Creative in the work we put out—and the way we work within. Single-mindedness? That’s not our bag. We look at business challenges from unique perspectives and multiple angles, leading to better questions—and ultimately, better answers. Looking through the lenses of Content, Vision and Experience, we make sure your brand is heard, felt and remembered. This all-encompassing approach is the core of what makes North Forty different from your average marketing agency, and what keeps our clients coming back for more. Traditional ad agencies have a lot of layers between clients and creatives. 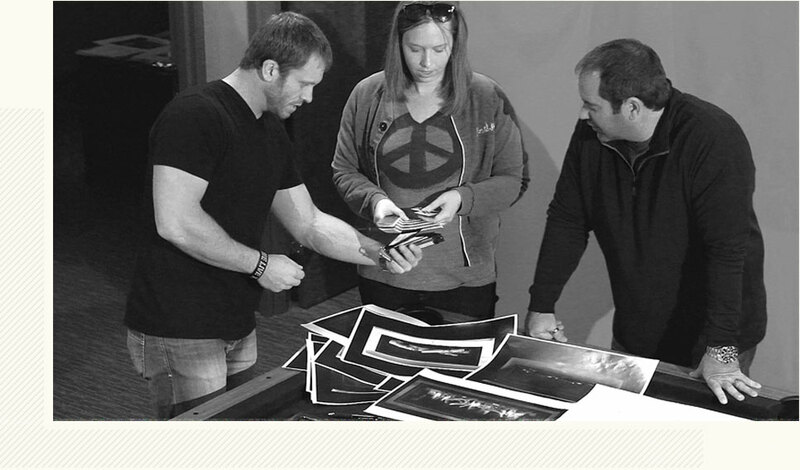 At North Forty, our clients work directly with our creatives. That makes for clear communication, effective feedback and frankly, a lot more fun. Our creative Partners lead the charge, drawing from their respective areas of expertise to ensure your brand is relevant, evocative and memorable. Master storyteller. Creative visionary. Passionate leader. It's hard to define Muna with just one title (though we've selected Director of Creative Content for the time being). Muna has a rich history of creating impactful messages on behalf of clients both large and small. She has an innate sense of what works—and always pushes the project to its highest level. "For me, creative lives where inspiration meets preparation, an approach captured by one of my favorite quotes from Louis Pasteur, 'Chance favors the prepared mind.'" Jake has over two decades of agency experience, including a number of years at CMF&Z, a Young & Rubicam company. He has solved creative challenges for a broad range of clients, including Trane, Mendota, John Deere, Sony Ericsson, Heatilator and Kenmore. Jake is a proven leader with a true passion for excellence. "Classic motorcycles. Watches. Sunglasses. Anything black." To say Gerard has a talent for creating live events is a bit of an understatement. Not only has he worked with artists like Sting, Phil Collins and Jo Dee Messina, he's also composed for film, TV and stage. And if that's not impressive enough, his other client work includes HBO, IMAX Films, AEGON, Transamerica, Rockwell International and Toyota. "No, I didn't do that! Oh, that…well, maybe that was me." At North Forty, we know great minds don’t always think alike. That’s why we’ve assembled a full team of unique talent from varied backgrounds—and why collaboration is always the name of the game. Creative agencies are like people—you can tell a lot about them by the company they keep. And the company we keep happens to be some of the top names in their respective industries. No matter which of our marketing and advertising services they’re employing, these clients appreciate our straightforward style—and the end results we help them achieve. What does a creative agency do? Everything your traditional ad agency does—and more. Logo development. Content creation. Web design. A lot of advertising agencies offer these services, and so do we. But what about the design of your product itself? The strategy behind your brand's look, feel, even its name? How about tools to promote it on the shelves and on the web, radio spots to spread the word, and original music, audio/video production and live events to bring it to life? We've got you covered from eyes to ears, site to store, start to finish. What's in a brand? A lot more than meets the eye. Identity, strategy, positioning, design and content—all must be carefully considered and executed to ensure your message is relevant, compelling and memorable. Want to be more competitive in your industry? We'll help elevate your brand through advertising materials and messaging that will get you noticed—and put you in a better position to drive future growth. Looking good is only a part of your brand's design. How does it make your audience feel? How does it touch the senses? Every design element sends a message—that's why strategy, beauty and consistency are key. Your logo, website, packaging, photography, video sets, even the product itself—they're all essential—and they're all in our area of expertise. Do you stand out on the shelf? Do you want a stronger in-store presence? Fueled by creativity and collaboration, we create the marketing tools you need to get noticed on crowded retail floors. From point-of-purchase pieces to endcap displays, from product launches to training materials, in-store videos and beyond, we'll make sure you're seen and heard. Challenging channels? Retail distribution hurdles? We'll help you navigate both while staying true to brand—and true to your advertising budget. Web. Radio. The daily paper. Marketing and advertising efforts come in many forms—but which is best for your brand, your campaign, your current challenge? Our team's collective experience with all things online, print, audio/video, original music, production/post-production and radio will help bring your brand to life in the way that makes the most sense—and the biggest impact. Memorable events don't just entertain. They educate your audience about your brand—and leave them feeling good about it. Our team is big on building emotion into your event to create a truly immersive experience. Lighting, scripting, staging and talent management? Check. Tradeshows, event planning, management and promotional materials? Check. Memorable events that will keep you—and your audience—coming back for more? You get the picture.